If you could grant just one wish to most people who recognize their faults or problems, they would wish for them to be gone. They know that they have low self-esteem, some negative thought pattern, grief, inertia or fear, and they would like nothing more than to be done with it. Most people don’t really want to live with pain and suffering, but they just haven’t figured out how else to relate to the world. People want to let go, but they don’t always have a method for doing it. How do you let go of a loved one who passes away? How do you let go of an important relationship after a break-up? How do you let events come to a natural conclusion so you can start all over again? 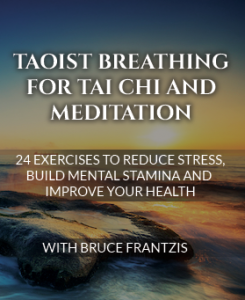 Taoists approach learning meditation in a practical way. They recommend doing what’s easy first and leaving what’s hard for later on. Build on easy successes before you start trying to take on challenges that may seem impossible. Slowly let your system build up and your internal infrastructure become solid. Taoists have been using the Dissolving method for millennia to deal with shock – no matter how serious. The dissolving method can help you get through incredibly life-altering events. 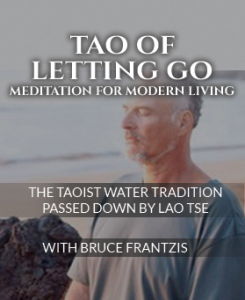 The Dissolving method can help you let go. 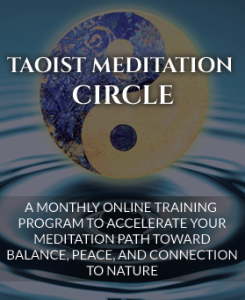 The actual term in Taoism is sung shin, which means, “to relax into your heart or being.” Here Taoists are talking about the core of your being, about how you connect with your soul. There are three main applications of the Dissolving method. The first is attending to the here and now. Overall you are basically trying to dissolve blockages that deal with events from your past or your future, but this application is more about what you are aware of at this moment. Whether it comes from your past or not, all energy inside you is going to link together at some point. The second application of the Dissolving method makes use of agendas. You have something you know you want to do – maybe you have a problem with a relationship, with some aspect of yourself or some aspect of your life’s circumstances. 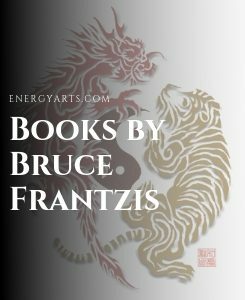 In Taoism there is what is classically called the “10,000 agendas.” Ten thousand is used as a metaphor for an infinite number of possibilities. You know there are aspects of your life that require change and you want to address each one, individually, as a means of becoming free and awake. The third application of the Dissolving method helps people to deal with shock. Trauma causes many changes to occur in your system because, by definition, shocking events affect you so deeply. That is, they connect to other blockages and root deeply inside you. Traumas – such as the stock market crash of 1929, September 11, 2011, Hurricane Katrina and the 2008 banking crisis – cause people an incredible amount of shock. If the energy of the shock is not dissolved, it may grow immensely and attach to other blockages, making it increasingly more difficult to release. So you use the technique of dissolving to help release all that has attached to that trauma within you to eventually unravel it to its core. 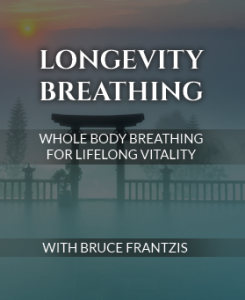 Regardless of the application, dissolving is a pragmatic method for releasing whatever prevents you from experiencing the joys and harmony inherent in life. Learning these techniques will give you powerful tools for recognizing what is not flowing, releasing it, and eventually restoring balance in your life. I keep reminding “my self” that the fundamentals-foundation can always reveal more each time one goes over them (refreshing as well as deepening)- and having the deepest-stuff/Functional Techniques (from a “real Tradition”) really makes a difference- this has been, for me, such a big set of tools (and the above concepts those of the highest leverage-impact amongst them). If I could send the above to the “much younger me” and to have ponndered-until I understood it more (just my two cents, in case that impacts anyone reading this). I’ve heard some talk of dissolving in other areas of your websphere that I’ve visited. do any of your published materials address this subject in further detail? Do you happen to have a twitter following ?? It would be so helpful !